JD.com announced its participation in the mainland watch group Xinyu Group, making China's largest watchmakers likely the speculation to apply for listing in the Mainland next year is going further. Xinyu Group was divested from Hengdeli Holdings Co., Ltd. (3389.HK) in 2017. Group Chairman Zhang Yuping acquired the entire equity of Xinyu Group and 75.54% of the shares of Fengyi Group for 3.5 billion yuan (RMB, the same below). After the completion of the transaction, Hengdeli mainly focuses on the Hong Kong and Taiwan/Malaysia markets, while Xinyu Group focuses on the mid- to high-end watch market in the Mainland. When the market splits, it is generally believed that Xinyu Group will land in the A-share market after the split. The above transactions coincided with the worst year in the history of the watch industry. In the full year of FY2016, Hengdeli recorded revenue of 12.3344 trillion yuan, a 7.3% decline from the 2015 figure of 13.302 billion yuan, of which the mainland income recorded a decline of 2.1%. From 9.583 billion yuan to 9.358 billion yuan, while the mainland retail business income was 5.608 billion yuan, down 3.1% year-on-year. Informed sources revealed to local retail watchers (resign insider) and non-fashion Chinese that Xinyu Group began planning to finance as early as the end of 2017, including repaying major shareholders' debts and increasing operating cash flow. Continue to expand in the Mainland. A fashion industry research and consulting investment agency, Xinyu Group, which covers retail, wholesale and after-sales services, earned about 9.6 billion yuan last year, accounting for about one-third of the mid-end watch market in mainland China. It is well-deserved in the mainland market Industry overlord. After divesting the mainland business in 2017, three separate fiscal years are required by the Listing Rules. Therefore, the new financing may be the preparation of the Xinyu Group for the upcoming IPO. As the main suppliers of Xinyu Group and Hengdeli are the world's largest watch manufacturer and distributor Swatch Group SA (UHR.VX) Swatch Group, the world's largest luxury goods group LVMH Moët Hennessy Louis Vuitton SA (MC.PA) Lu Wei Industry giants such as Yixuan Group and Kering SA (KER.PA) Kaiyun Group, therefore, if the Xinyu Group IPO, the above luxury giants will become the cornerstone investors if there is no accident. 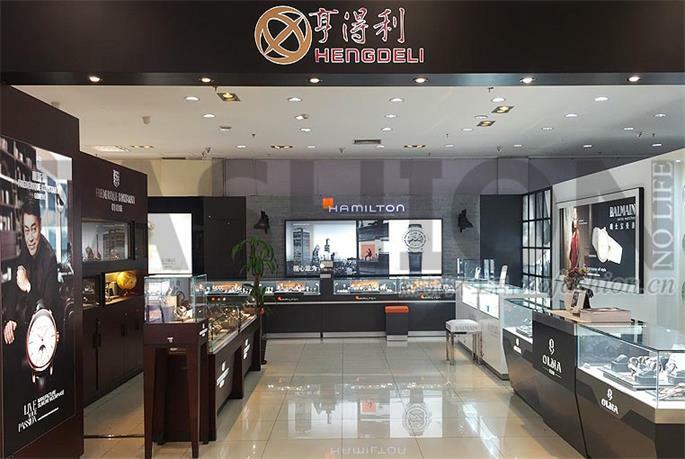 Swatch Group and Lu Wei Xuan Group are still shareholders of Hengdeli. After the difficult period of 2012-2016, the Swiss watch industry re-emerged in 2017 and further accelerated in 2018. From January to November 2018, the export value of Swiss watch was 1.5754 billion Swiss francs, up 14.2% year-on-year. The top 10 markets are growing at a faster rate, which is only weaker than the 21.0% growth rate in the Hong Kong market. However, Xinyu Group's watch business is mainly focused on mid- to high-end brands and products. The performance of this segment is weaker than that of high-end Swiss watch brands. Also, the slowdown in China's economy and the weak consumer desires of consumers are the group, the problem that needs to be faced.